Tantrwm have been lucky enough over the past few years to work with some very special people, one of which was very recent: Leanne Wood. Tantrwm had the pleasure of meeting and working with the leader of Plaid Cymru, Leanne Wood. 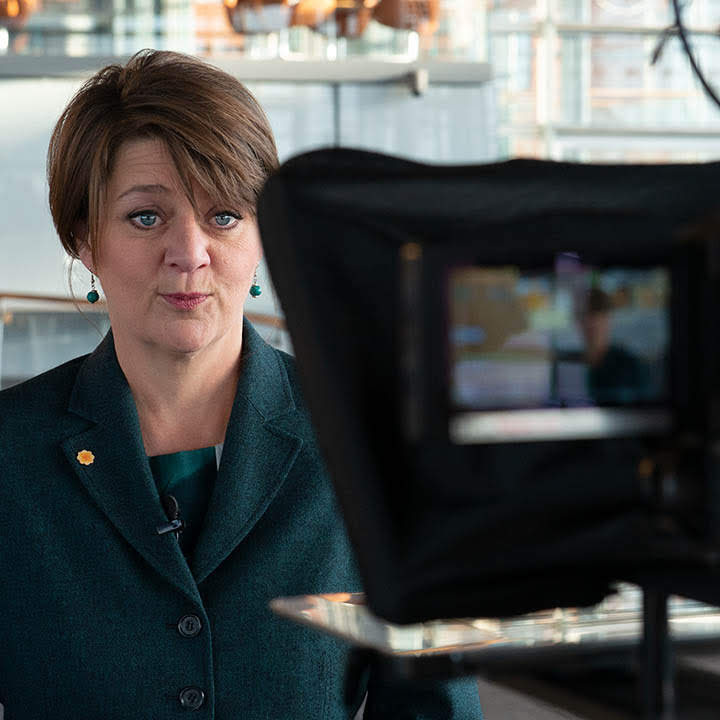 We were asked to produce two short informational videos showing Leanne Wood and her party’s position on the EU Referendum that would then be shared onto her social media. The video was a request at very short notice, and Tantrwm were able to deliver a strong video in a short space of time. Working with Leanne Wood was an absolute pleasure. The videos are now live, and although the referendum has already taken place, why not take a look at the videos we produced for her on Facebook. If you need an informational video produced or, in fact, any form of video production, get in touch with us at Tantrwm to help form your ideas into a great video.